Fully agree that this was a problem, it’s a shame more of Gallio wasn’t ready at that point. You can read more about it here and here. On a personal note, I think it went OK – but there was/is definitely room for improvement. Thanks for all the feedback, I will take it into account when doing future talks. What an amazing day!! Having enjoyed DDD3, DDD4 and DDD5 yesterday I was given the chance to speak at DDD6! I felt honoured that I was given the chance and really enjoyed walking around in my green DDD t-shirt. My session was one of the last in the day but I managed to pull in a room full of attendees (about 50) which was amazing and thank you to everyone who attended. The day goes so much quicker when your speaking! As for the rest of the day, I attended some great sessions. My favourite session of the day (apart from mine) was Why do I need an Inversion of Control Container? by Mike Hadlow, good content and well presented. After the day, I went for one or two well deserved beers and the geek dinner which was great and spoke to some really nice people. Cheers to Zi for organising that. Finally, don’t forget to fill out your feedback – http://www.developerday.co.uk/ddd/feedback.asp. Can’t wait for the next conference! DDD6 agenda has now been posted online as well. I’ve got one of the last session blocks of the day up against Swaggily Fortunes – great! But it looks to be a good mix across the 4 rooms to keep everyone happy. Two bits of DDD news today. Firstly, a DDD in Scotland has been requested for a long time and today Colin announced some details. It will be in May 2008 at Glasgow Caledonian University. More information on his blog. The second bit of news relates to DDD6 and voting has now opened. 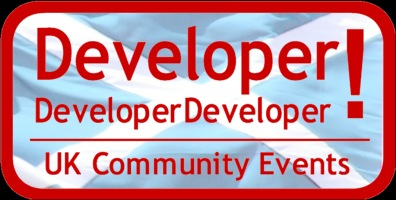 Cast your votes for which sessions you want to see at http://www.developerday.co.uk/ddd/votesessions.asp. Everyone seems to be talking about TDD, Unit Testing and Integration Testing, but how do you get started using these techniques on a real project? How do they affect the way we design and develop software? In this talk, I will cover how to begin unit testing and factors which should be taken into account when designing and developing applications. I will then demonstrate how the new MbUnit Gallio framework can revolutionise the way you write your tests. Oh and mine ;). There are sessions to meet everyone’s taste. Get voting!! The call for speakers for DDD6 has officially opened. You can now submit grok talks, 60 minute or 120 minute presentations. Anyone in the UK is welcome to submit a session, as long as you plan on actually going through with it. The call is only opened for a limited time, so get in quick. After it has closed, attendees will be able to vote for the sessions they want to see. DDD6 will be held at TVP, Reading on Saturday 24th November. Now, how to word a good proposal? Guy Smith-Ferrier just posted the date for DDD6 – 24th November 2007 @ TVP, Reading. Session submission opens end of September, keep an eye out for a session from me. Also, if you visit the site you can vote on where you want DDD7 to be held.